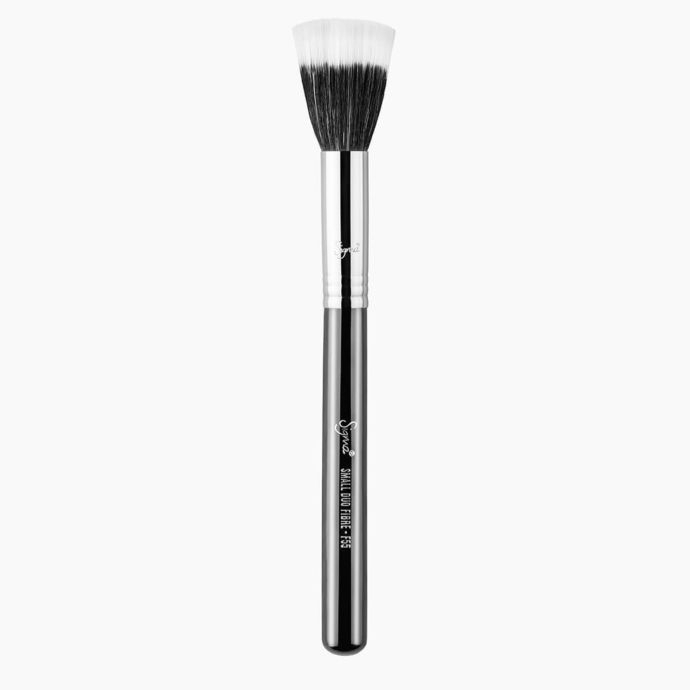 F55 Small Duo Fibre Brush is rated 4.8 out of 5 by 12. Rated 5 out of 5 by ssaengs from Great for contour and foundation This brush blends my cream contour and foundation so nicely! So much better than using a beauty blender. 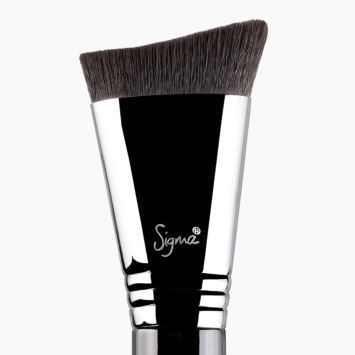 Rated 5 out of 5 by Lindsay08 from applies colour seamlessly Bought this a month ago with two other Sigma brushes, my first purchase from this brand, and am very happy with the size, the softness of the bristles and the way it blends cream products. You can lightly tap for a sheer finish or build up product and really stipple onto your cheeks for something more pronounced. Works great with cream highlighters as well. 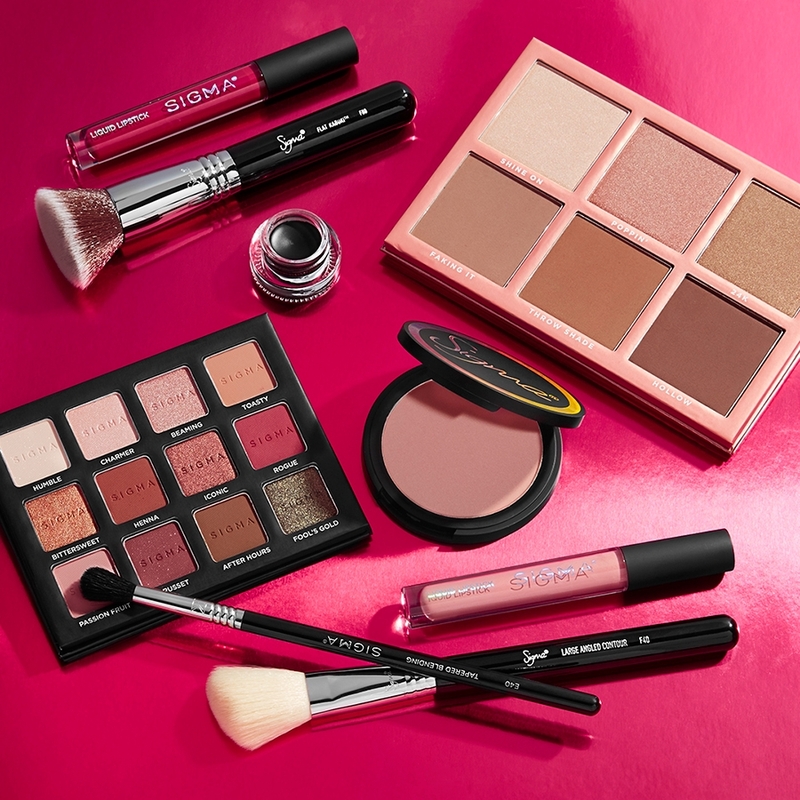 Rated 5 out of 5 by NieceMakeup from Nice blending! Love this product so much. 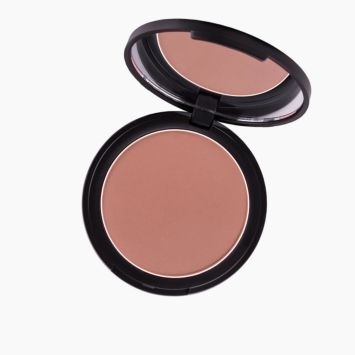 I actually use it for my highlight because it blends it so well and makes it not look too powdery! Definitely will be getting more products. Rated 3 out of 5 by julia24 from Too bristly For me this brush was too bristly or stubbly. 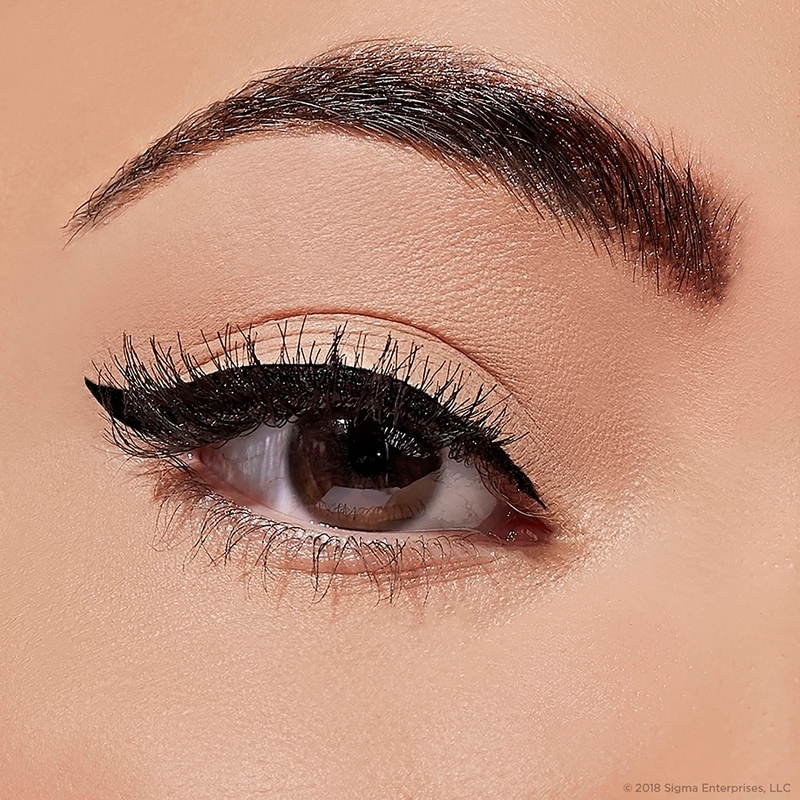 It did not blend the product very well and the bristles are too stiff. Will this brush be able to apply liquid highlighter? 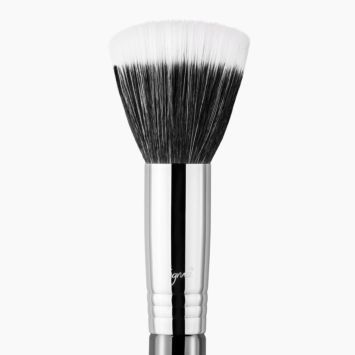 This brush works best with powder, cream and liquid products buffed onto the skin for a well-blended and light finish.You could definitely use this while you are applying a liquid highlighter! We would be happy to help! 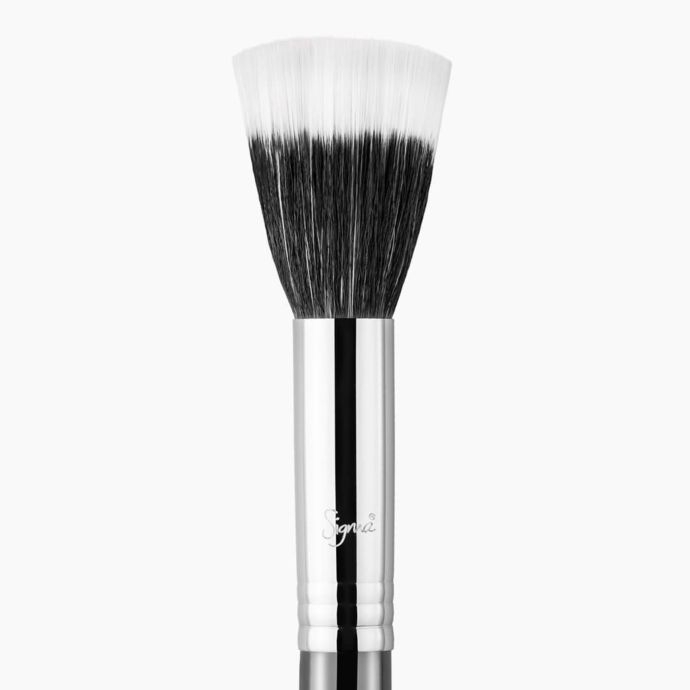 The F55 - Small Duo Fibre Brush can definitely be used with cream, liquid and powder products. 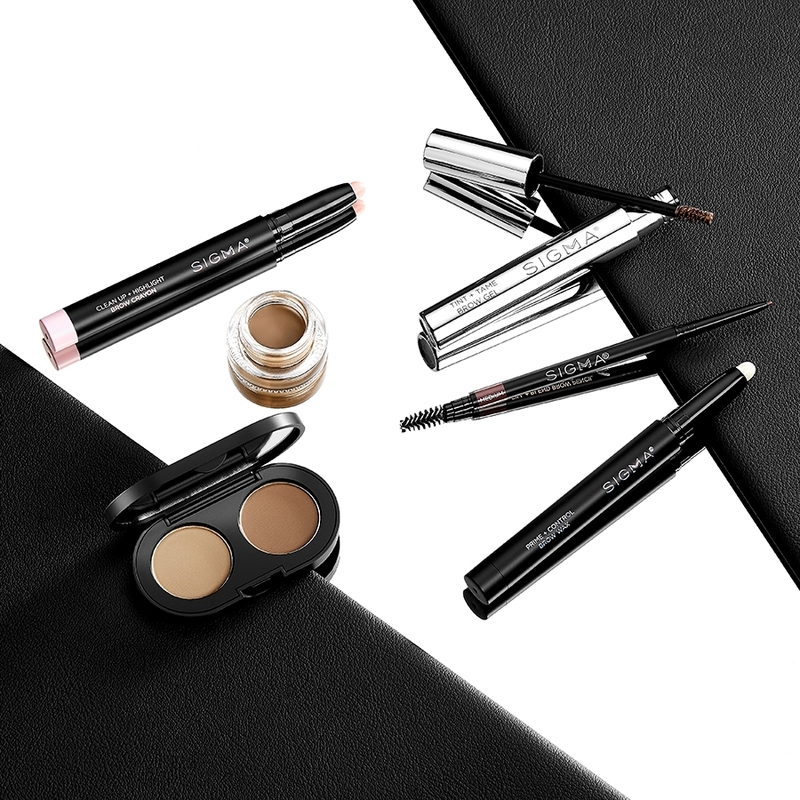 Application will be buffed onto the skin for a well-blended and light finish. 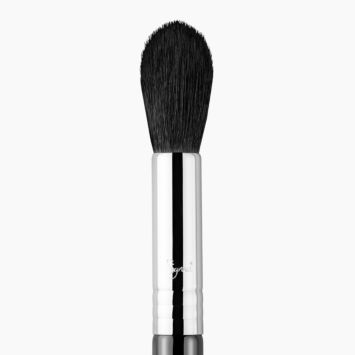 We would also recommend trying the F60 - Foundation Brush as it features a firm and slightly tapered flat brush head. 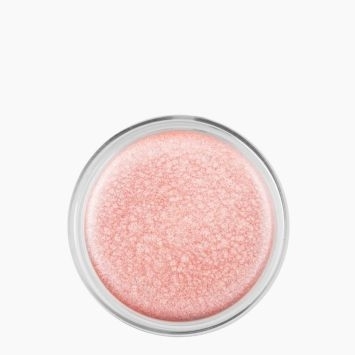 Can I used this with foundation, powder, blush, contour highlight, etc.? What is the difference between the f50 &amp; f55 ? 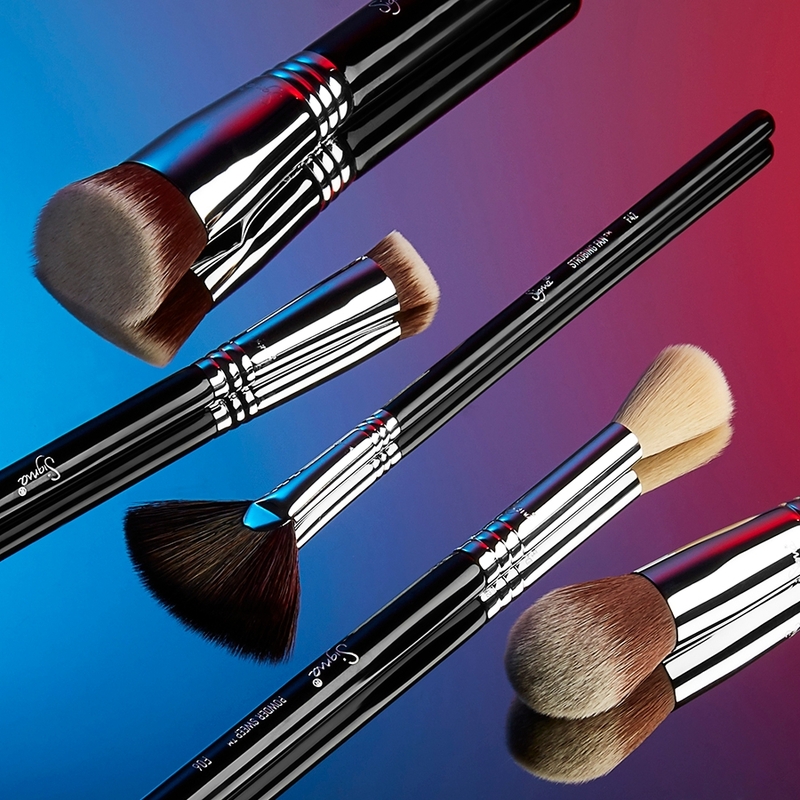 The F50 Duo Fibre and the F55 Small Duo Fibre Brush are the same brush in all aspects expect for the size of the brush head. 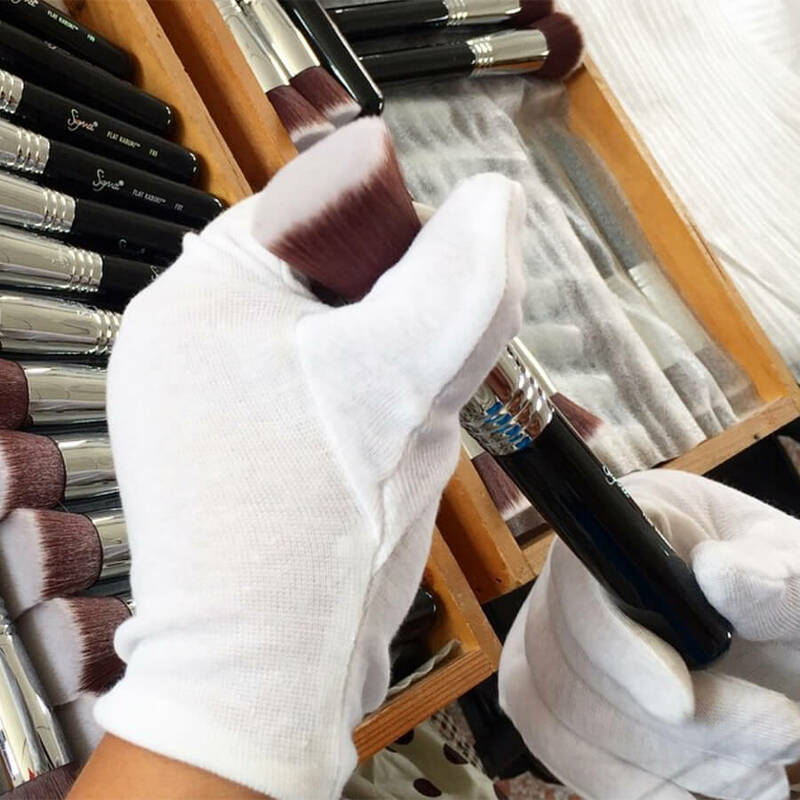 The F55 Small Duo Fibre Brush is smaller and works very well for highlighting, while the F50 Duo Fibre is larger and works well for stippling product all over the face. 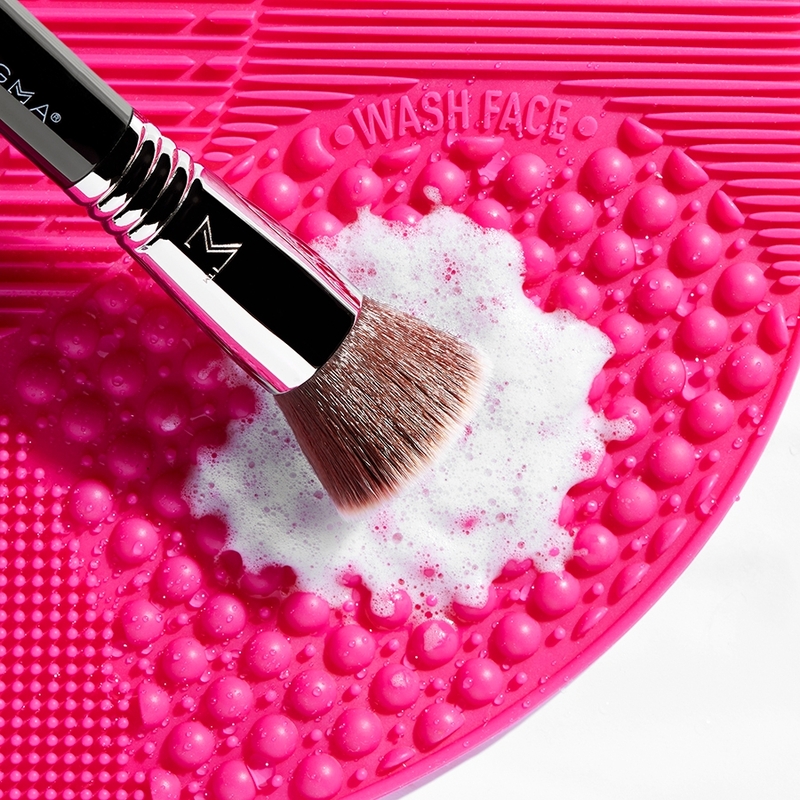 Is this brush good to apply moisturizer ? I don't want to apply moisturizer with my hands anymore because of bacteria ! The F55 would work to apply your moisturizer. Personally, I prefer the F60 to apply masks, or my moisturizer. I love the F60 as you can see easier where you are applying the product and the top picks up the product evenly and perfectly. 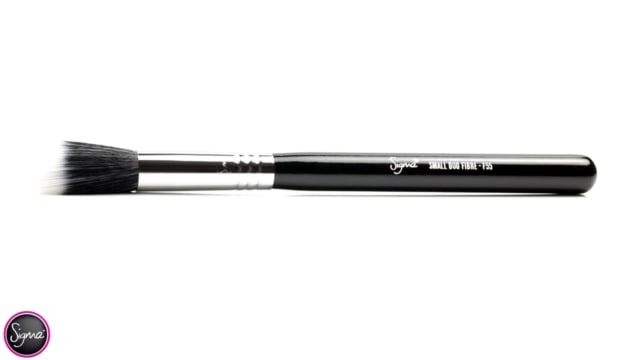 The F55 Small Duo Fibre Brush is a great brush for blending out cream contour if you are looking for a well-blended and light finish. 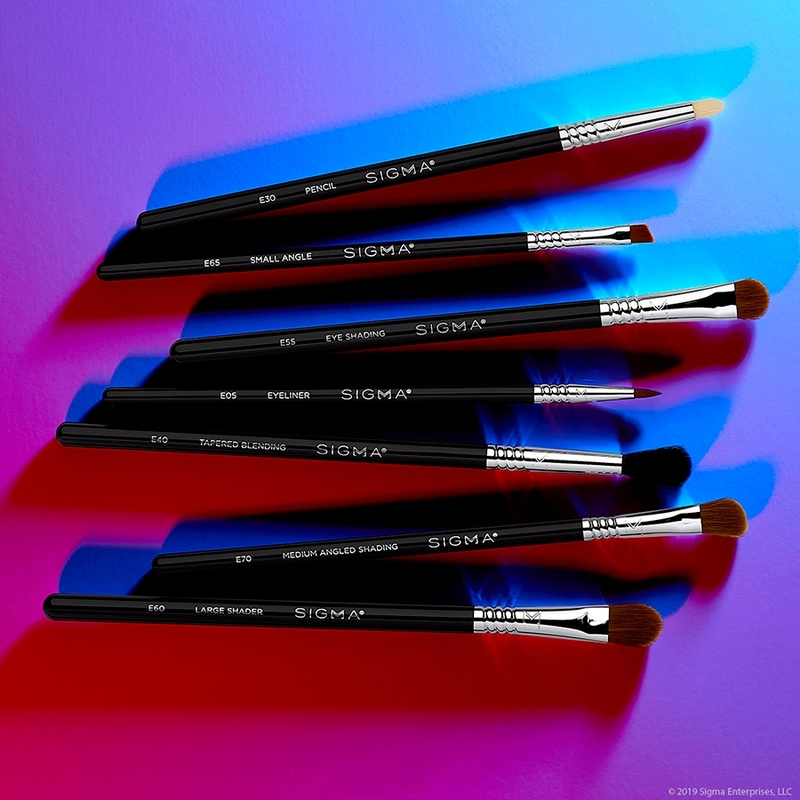 If you would like a more concentrated color application, I would then recommend the F04 Extreme Structure Contour&trade; Brush for blending out cream contour.